The London International Mime Festival has always offered a range of unexpected goodies for dancegoers – at least, those who go outside the dance box. Encompassing physical theatre, circus, puppetry, cabaret and all manner of performance that goes beyond traditional categories – “dance”, “theatre”, and not least “mime” itself – it can be variously refreshing, frustrating or captivating; but is always eye-opening. 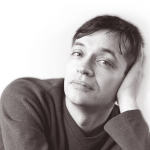 This year marked its 40th edition, and bookending the festival were two major productions that had already scored substantial success elsewhere – both, interestingly enough, with close links to dance. Gandini Juggling opened with an expanded version of Smashed (premiered by LIMF in 2012 and a hit at the Edinburgh Festival in 2013), which paid explicit homage to the work of Pina Bausch, as refracted through the skills of a company of some 20 jugglers. Mixing china crockery and human cruelty, apples and absurdity, it made for a suitably smashing opening to this anniversary festival (“Bausch with balls”, quipped DanceTabs’ Jann Parry, whose review you can read here). En route to the wondrous final show, I caught several of the dancier pieces in the festival. Imbalance, by the duo known as Joli Vyann (circus acrobats Jan Patzke and Olivia Quayle, a couple both on stage and off) who commissioned veteran choreographer Jonathan Lunn to explore the impact of social media and mobile communication in our lives. The piece makes full use of the performers’ range, from ordinary, hunched-over stances as they tap at phones and laptops to extraordinary one-armed lifts, headstands and cantilevered balances. It’s a great idea – the competing demands of technological, physical and emotional connection as a continual balancing act – but the results are themselves a little imbalanced. The acrobatic feats are effective – we sense the human effort beneath the accomplishment – but the choreography less so. The pair lack the personal presence more theatrical performers would bring, and the choreography (as opposed to the acrobatics) relies too much on mechanically timed gestures. You can all but hear the counts of eight. A more successful integration of circus with theatre is Barons Perchés by mime festival regulars Compagnie MPTA/Mathurin Bolze. In this sequel to their 2005 work Fenêtres (based on a Italo Calvino’s novel The Baron in the Trees), Bolze is joined by fellow trampolinist Karim Messaoudi in a set raised thrillingly high above the stage: a precarious treehouse apartment, with windows and doors leading to vertiginous drops and a floor made of elastic. For a good two thirds of this seventy-minute piece, it captures your heart, your senses and your imagination. 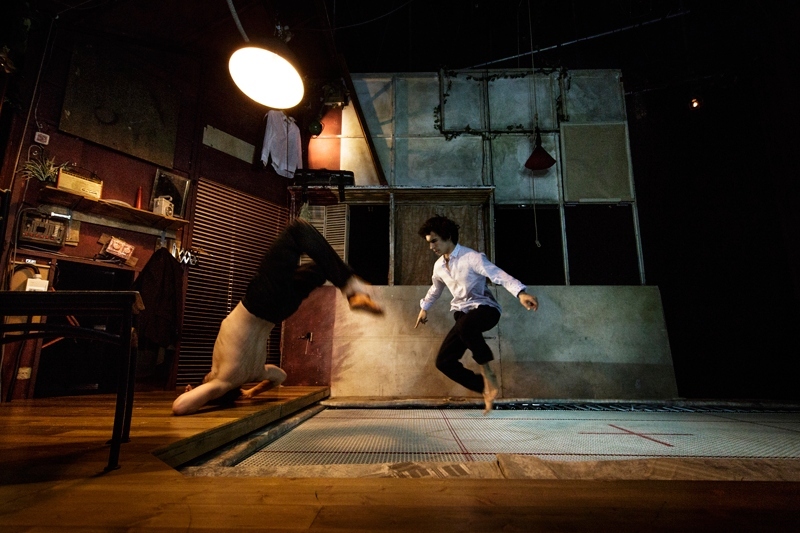 The two performers are like doppelgangers – dressed identically, living in the same space yet initially scarcely aware of each other’s presence except through the swinging of lights, the springback from the floor. Who’s haunting who? As in a story by Poe, the setting itself becomes a strange, suspended state of mind: an impossible house whose inhabitants are forever falling, tilting against walls, swinging beneath lights, wandering through windows and disappearing below the floor into the unknown. A shame, then, that towards the end the pair break the spell in favour of more straightforward circus, clowning around with bird whistles and generally playing to the audience. There’s more of the uncanny in two solo performances that give leading roles to sound and costume. 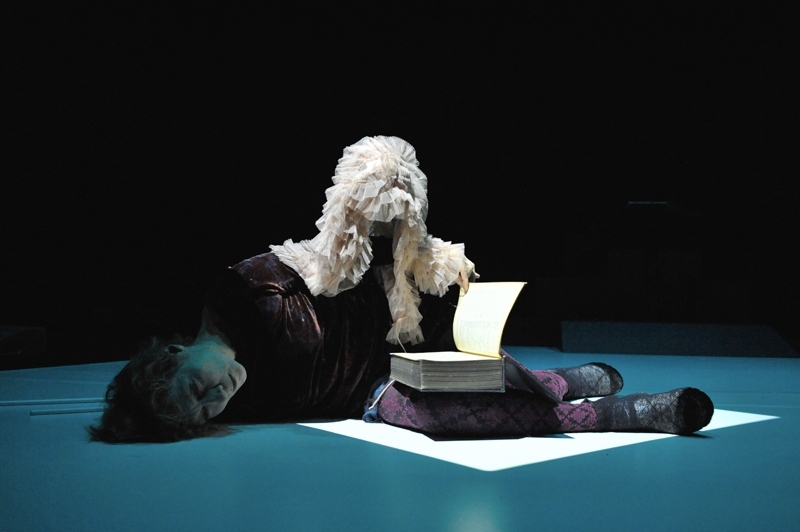 Compagnie Mossoux Bonté’s Whispers is the more gothic of the two. Nicole Mossoux, swathed in skirts and ruffles, is alone on a stage. But the stage itself seems strangely alive with other, intangible presences: scratches, scuttles and echoes that are out of synch with or disproportionate to her rustling robes and scraping shoes. These uncanny dislocations begin to encroach upon her person – a hand seems to detach itself, her back becomes her front, and at one point her costume makes her look headless – until finally she lies inert, the sleeve of one arm forming a hollow, wigged puppet who perches on her prone body like the manifestation of a dream. Shudderingly effective. Euripides Laskaridis’ Relic also uses effects of dislocation and metamorphosis (amplified sound effects, performative costumes) but to very different ends. In Whispers you always sense the presence – no matter how marginal or trespassed – of a human being. In Relic, there’s nothing and no one you could quite call human, only a series of performing assemblages made of disparate, if dimly recognisable parts. At first, Laskaridis appears as a kind of tailor’s dummy with distended padding, like some tumorous transvestite poodle. Then he dons a wig, gown, glasses and pearls to become a conversational compere, babbling gibberish to an imagined audience that must be as baffled as it is fictitious. In the end, she/he/it (pronouns become problematic; B-movie terms such as Creature, Monster or Thing sound better) turns into a boorish cabaret host, growling at the audience, making lewd gestures and spanking a gym ball. The composite of elements here – shag hair, Burt Reynolds tache, leery attitude and purple bikini – must make this the most highly reconstructed presentation of unreconstructed 70s masculinity, ever. You have to love it. In an ironic way, naturally. The last work of the festival, you have to love too, but simply, whole-heartedly, unreservedly. Charleroi Danses’ Kiss and Cry – first presented in the UK by LIMF in 2014 – is the creation of dancer Michèle Anne de Mey (founder member of Anne Teresa De Keersmaeker’s company Rosas) and film-maker, director and former clown Jaco Van Dormael. The piece works its magic not through its narrative premise, captivating though that is (an old woman recalls the five loves of her life), but through its realisation. 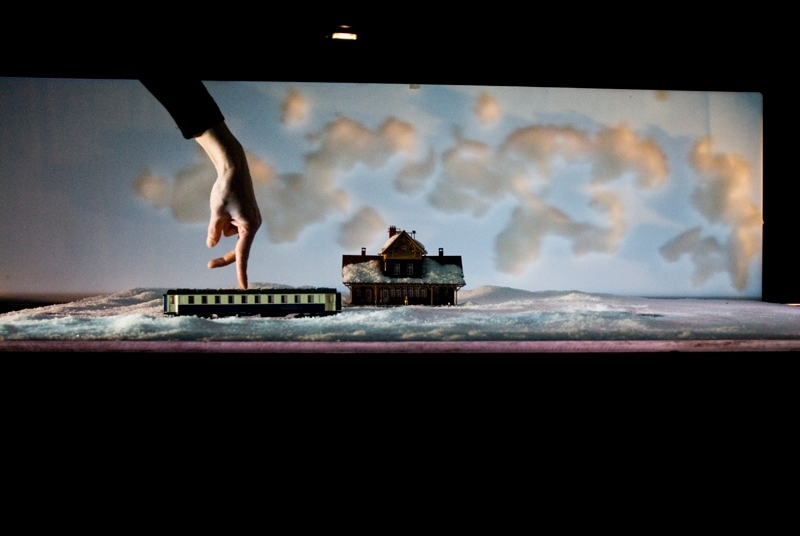 The characters are represented in two ways: by the hands of the dancers (de Mey and Gregory Grosjean), with their steppy finger-legs and gesticulating finger-arms; and by tiny figurines of people placed in miniature scenes complete with model trains and trees and houses. Everything is projected, enlarged onto screens around a stage on which we can see all the machinations of the performers and technicians: the sand-covered table where dancers walk their fingers across a desolate desert; a water tank in which they drown their hands in imagined emotions. In fact the piece is, both literally and figuratively, all about projection – not just the way that the physical action is relayed in real time onto screens, but also the way that we transpose ourselves into the images that we see. In the brush of a fingertip against a knucklebone, we sense the eternal ache of one human being for another. A toy hand is placed inside a tiny box, that is placed inside another box, and another, then covered with sand – and we see a love that was not lost but rather locked away, covered in layers and buried. A doll rides a toy train on a circular track, and we feel the motion and the melancholies of life’s unresolved passage between the awakening of desire and its extinction. Kiss and Cry is also all about the illusions of scale. Tiny actions take huge significance on screen. In the blank faces of figurines, the flutters of fingertips or the dry drift of sand grains you can see whole lifetimes of love, with all its desolations, transports, banalities and consolations. Small wonder (an apt description for this piece, by the way) that the audience were on their feet at the end. It was a beautiful end to the mime festival in its 40th year. The festival may be over but its influence lives on, in various forms. I can, for example, wholeheartedly recommend a work presented in last year’s festival that will return to London in May and June 2017: Jakop Ahlbom’s Horror. It was one of my 2016 highlights (not just of the festival, but of the whole year), and I guarantee that it will unsettle, horrify and thrill dancegoers. At least, those who like to go outside the dance box. A roundup of Resolution 2017 at The Place, London – and a Biblical parable.